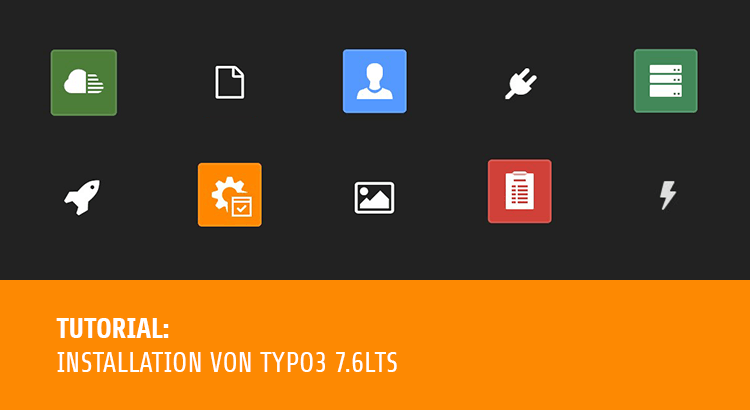 This tutorial is additonally available for the newer TYPO3 Versions 8.0 , 8.7 as well as 9 LTS! The downloaded file will install itself. It’s possible that the virus scanner throws a warning. For most virus scanners or firewalls it is sufficient to ignore this warning. Others need to be disabled during installation. Watch out: with Version v5.6.19 you have to activate the extension for Openssl (extension=php_openssl.dll) and Soap (extension=php_soap.dll) as well (because otherwise the login later could fail). In addition, a warning due to restrictions by the UAC might pop up. We regret that this information is no longer availlable. 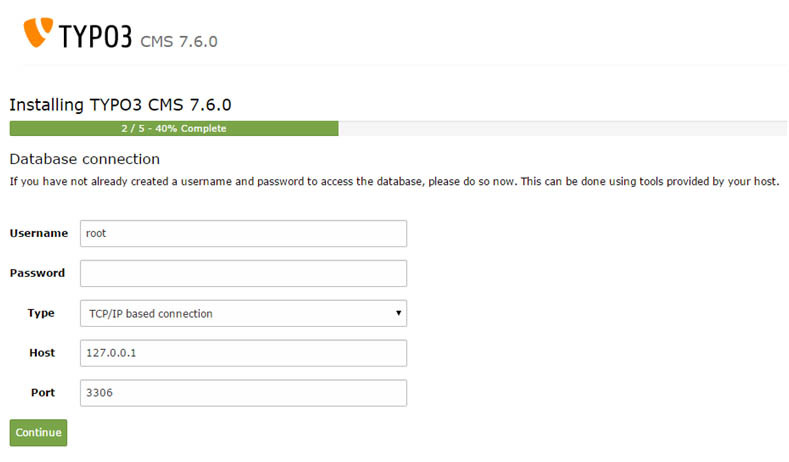 Apache and MySQL will run via the control panel now. 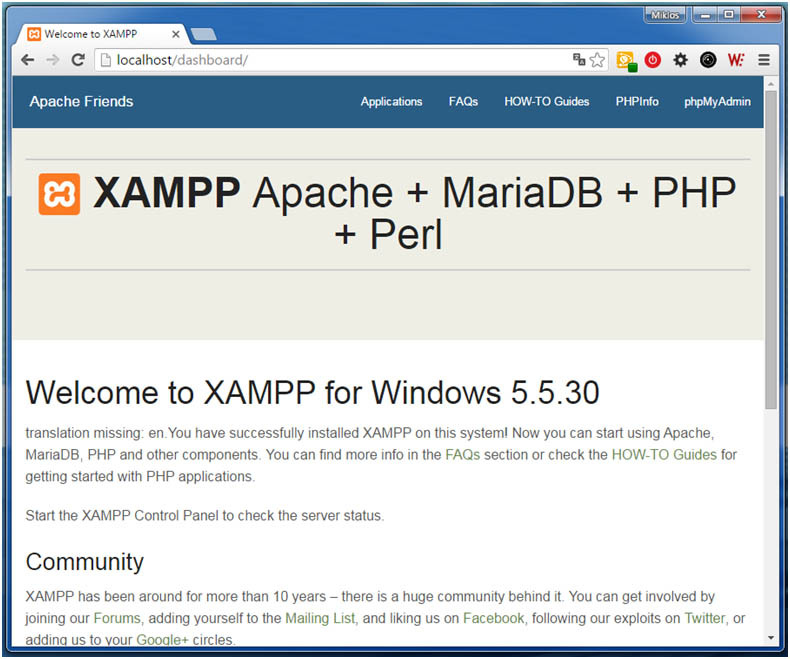 To get this done it is required to run XAMPP as an administrator. Installing GraphicsMagick is self explaining. You just have to choose between the version for 32- or 64-bit operating system (You may find out which one you have by pressing the Windows key and the Pause key simultaneously). By default, it will be installed in „C:\Program Files\GraphicsMagick-1.3.23-Q16“, which should works fine for you. For the next step, you have to pass a folder in the directory „C:\xampp\htdocs“, which for example is named „site“. There you can copy all the files and folders of TYPO3 7 LTS after you’ve unpacked „typo3_src-7.6.0.zip“. Importoant thereby: Please copy only the content of the folder into the directory. Putting the complete folder in it wont work. After that „http://localhost/site/“ has to be reloaded and the installation routine starts by clicking the folder „typo3_src-7.6.0/“. Unfortunately, several errors will appear. TYPO3 has some special requirements to the server which are not fulfilled by the standard configuration. The first four messages can be resolved by changing the entries in the „php.ini“ file with an editor. The file is located in the folder „C:\xampp\php\“. It basically configurates PHP. 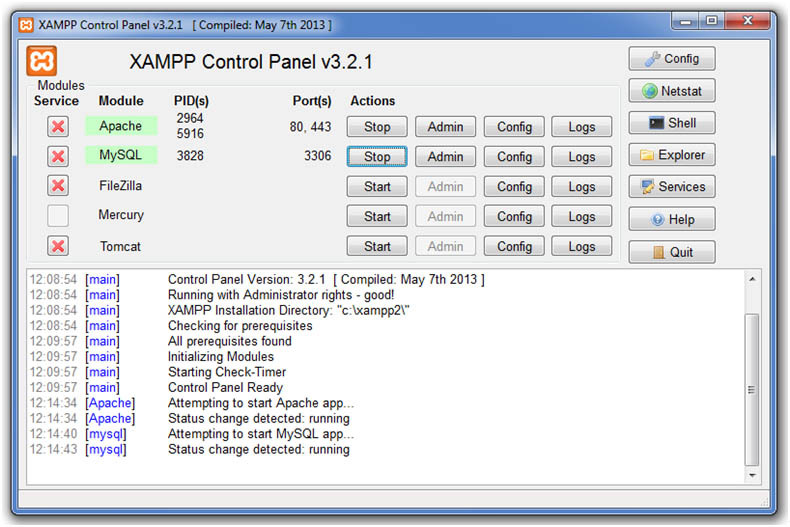 Now restart Apache and MySQL with the XAMPP Control Panel and reload the website. There will be just one error and one warning left. With the repeated restart of the Apache this message lasts, because TYPO3 7LTS can’t verify the adjustment. However, you can check yourself if enough memory is available now, if the installation has been successful. More on that later. 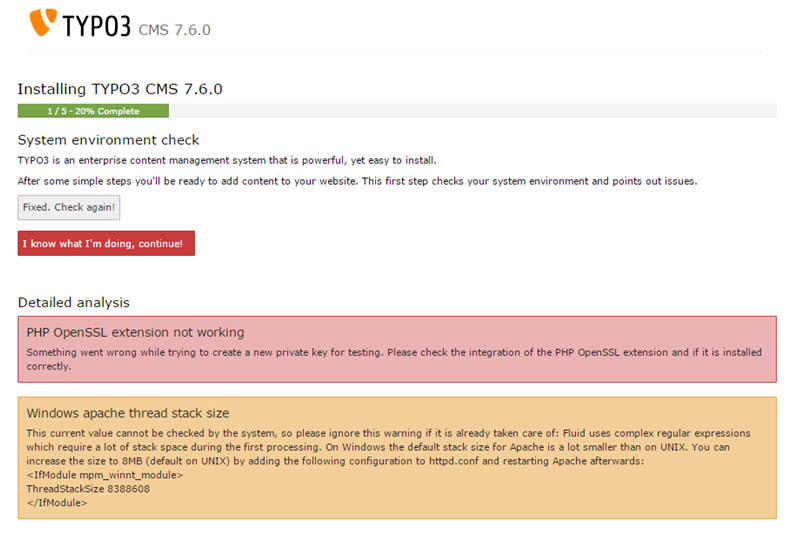 The last error „PHP OpenSSL extension not working“ can be ignored, since it’s just a local test system. So security is not that important in this case. More on this later too. Afterwards choose an existing database or create a new one. In our case we have chosen the database called „test“. Now the installation itself is completed. If you like you may download some full-fledged websites after the log-in, by tagging „Yes, download the list of distributions“. The Introduction Package includes a comprehensive sample. Next you may continue by clicking „Open the TYPO3 backend“. Unfortunately, the login doesn’t work yet, because TYPO3 uses an RSA encryption by default. 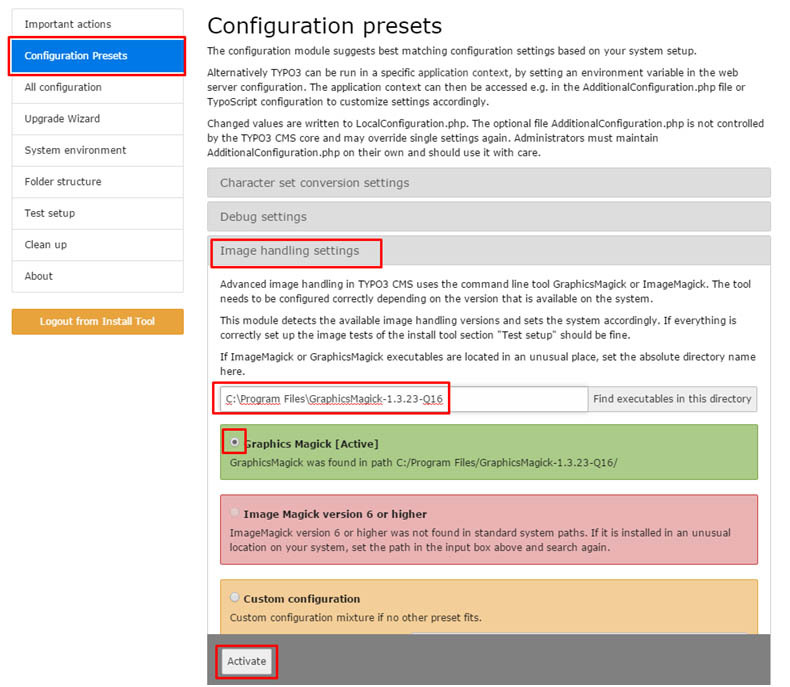 Now you have to enter the configuration again – this time in TYPO3 itself. For this purpose, open the file „C:\xampp\htdocs\site\typo3conf\LocalConfiguration.php“ with an editor, change the entry in line 7 ‚login security level‘ => ‚RSA‘ to ‚Login securitylevel‘ => ’normal‘ and save. Then you can log-in at the backend. Now it’s working. 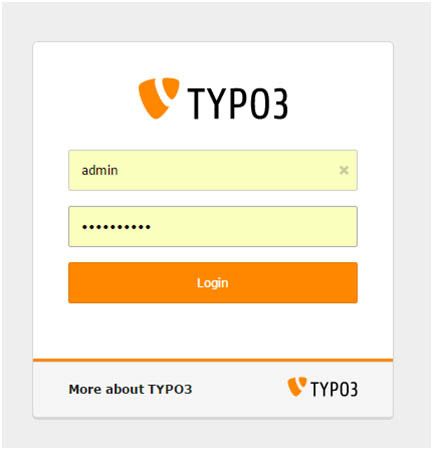 In case you have closed the browser window accidently, you can reopen the TYPO3 backend with “http://localhost/site/typo3”. If the login should not work, the entry has to be changed again inside “LocalConfiguration.php” whilst keeping the browser window open. Currently you can log-in with your username and the password, that you have chosen before. First you should uninstall the extension which is responsible for the RSA because it would overwrite your browser settings again next time you recall the backend. 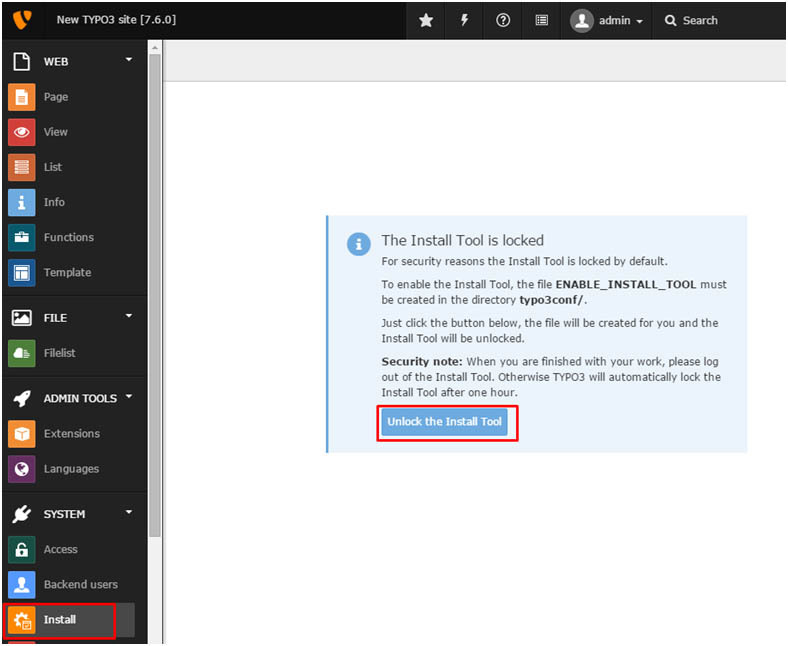 Look for „Extensions“ module listed inside “Admin Tools” and choose the extension RSA.Then click on the tagged icon and it will be deinstalled. Now you only have to enter „c: \Program Files\GraphicsMagik-1.3.23-Q16” in „Find executables in this directory“ and click “Activate“. Then select the radio button in GraphicsMagick and again confirm with „Activate“. 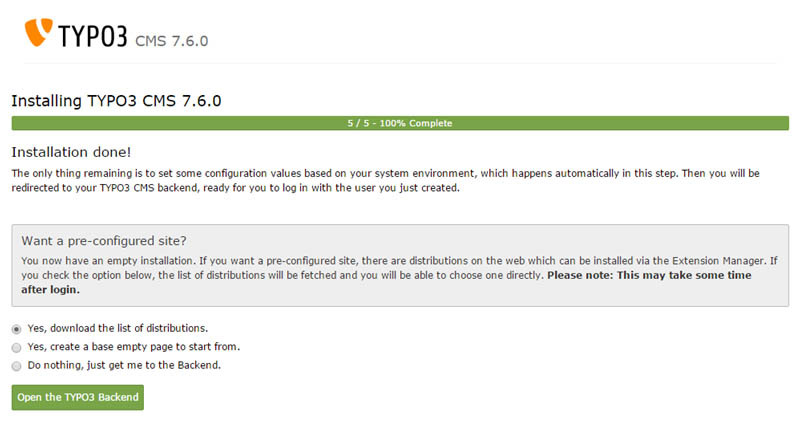 Now your TYPO3 7 LTS trial version is ready for use. You enjoy it! We’ve certainly tested the installation ourselves. However, if something shouldn’t work as described, we would appreciate your comment. 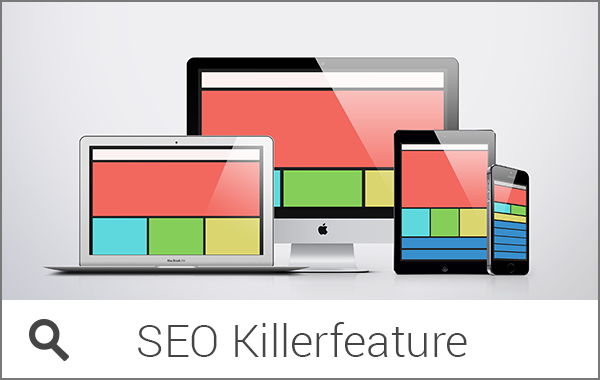 If it works and you consider our advice as helpful, you may like to share our tutorial. Thanks a lot! Thank You , thats very kind!